Update: After some changes being posted in MCI-18(1)/2018-Med./100818 amendment by Govt of India Gazette notification for MCI, I am updating the article to describe changes in MBBS and PG medical seat permission and recognition. Colleges/ Institutes will get permission for PG medical degree courses for 4 academic years and Diploma courses for academic 3 years. When the 1st batch is going for the exam, the institute can apply for recognition. If not recognized even after 2 attempts, the course will be added to First Schedule of the Indian Medical Council Act, 1956 i.e. it will be recognized only for those admitted batches and no more batches could be admitted to the said course. for starting of Post-graduate medical education courses within three years of grant of recognition, i.e., three years from the date of inclusion of the MBBS qualification awarded by the Medical College in the First Schedule of the Indian Medical Council Act, 1956. Failure to make an application for starting of Postgraduate courses within the stipulated time shall entail the withdrawal of recognition of MBBS qualification. Provided further that above shall be applicable to the scheme submitted from the academic year 2020-21 onwards, in order to provide time to the existing colleges to apply. The Institution shall apply for recognition of the Post Graduate Medical qualification to the Central Government through the affiliating University, when the first admitted batch shall be due to appear for the examination to be conducted by the affiliating University. In the event of deficiencies being found in the assessment, the Institution shall be granted an opportunity to submit compliance within 30 days from the date of communication of deficiencies by the Council. batches of Postgraduate Diploma courses. Failure to seek timely recognition as required in sub-clause 2 shall invariably result in stoppage of admission to the concerned Post Graduate course. Every year at the time of Medical admissions into MBBS or PG Degree/ Diploma courses students get confused as they do not know the difference between a Medical Council of India (MCI) permitted seat, and an MCI recognized (recognized) seat. So I will try to explain it as simple as possible. An MCI permitted seat is any MBBS or Post Graduation (PG) Degree/ Diploma seat which has been allowed by MCI to admit students. It is a very famous thing among the doctors that If a student has completed his/her, UG/PG in an MCI permitted seat but not an MCI recognized seat can only practice in the state in which the institute is located. For example, a student has done his UG/PG Degree from an institute in Maharashtra which has a seat which is MCI permitted but not MCI recognized then that student can only practice in Maharashtra and not in any other state in India. And If that seat gets recognized by MCI in the future then he can practice anywhere in India. I have canceled the above statements as It is false. As a reply to an RTI I had filed, I got a reply from MCI. It emphasizes on following statement on Code of Medical Ethics Regulations 2002, which says “1.1.3 No person other than a doctor having the qualification recognized by Medical Council of India and registered with Medical Council of India/State Medical Council (s) is allowed to practice the Modern system of Medicine or Surgery. A person obtaining a qualification in any other system of Medicine is not allowed to practice Modern system of Medicine in any form”. So a person with permitted UG medical degree cannot practice medicine in general, and a person with PG medical degree cannot practice subject of his/ her specialty in the same state as the teaching institute from which he has got the degree or in any other state as well. A person is supposed to have a recognized PG medical seat to practice medicine in any government hospital, private hospital or private clinic, etc. in India. In practice usually, MCI recognizes medical seats within 3 years (or when 1st batch passes out) of it making the seat permitted in most of the cases unless the institute doesn’t have enough faculty, facility or the infrastructure to meet the standards or norms stipulated to satisfy MCI inspection done on the Institute. If the application of recognition is rejected by MCI, the institute can again apply for recognition of the seat after improving its facilities and offer for inspection to the MCI. If MCI is satisfied with improvements done by the Institute to its faculty, facility or the infrastructure on re-inspection, it gives recognized status to that seat which was earlier approved. So, in short, a student who has done MBBS/PG Degree or Diploma from an MCI approved seat cannot practice anywhere in India and those from MCI recognized seats can practice anywhere in India. The answer to the above question is Yes. Candidate must do MD/ MS from an MCI recognized institute/ university to be eligible for Superspeciality medical courses. As per Section 10(A) of the IMC Act, 1956, the college is permitted to start any UG/PG course by the Council and the same permission is continued till the said course got recognized. After the said course is recognized by the Council and notified by the Central Govt, then only the candidate can register himself for the said course. And if the said course is permitted one, the candidate is not eligible for appearing in the entrance examination for a higher course. Also, if a seat gets recognized by MCI on a later date, it is applied retrospectively as well. That is if a permitted seat gets recognized after 4 years, seats of all the batches of admission will get recognized. (Confirmed my MCI in reply to my RTI). Many students were asking me about how a recognized or permitted seat is allotted to students taking admission in the same course in the same institute, the answer given my MCI is that this matter resides with Directorate General Health Services (DGHS). There are also many courses from Institutes/ Universities outside India which offer courses recognized by MCI. Those list of recognized foreign medical courses can be found in THE INDIAN MEDICAL COUNCIL ACT, 1956, THE SECOND SCHEDULE, RECOGNISED MEDICAL QUALIFICATIONS GRANTED BY MEDICAL INSTITUTIONS OUTSIDE INDIA. Following are the replies to the RTIs which I had filed to MCI. For discussion or questions on this topic visit our forum here. To check the status of an institute seat about its approval/ recognition visit MCI India website here. The Permitted and Recognised is a gray area. As such it is challengebale if one wants to against MCI how can you permit and not recognize a PG seat. And not recognising the student is no where and will not have registration and hence will not be able to practice. Question is Can MCI say no to the registration. Student has taken admission, to a particular college, following MCIs permission. so MCI is party to it and MCI should give them registration. They cannot wash their hands off and refuse. The reason is MCI rules are so vague, and there are so many, one group will take view of one thing and by the time the next one comes it another will take another view. They have all the sticks with them, its upto them which they want to use. I did not get your question. Kindly explain. What happens if my MBBS degree is not recognised by MCI? Will I not be able to give the MCI test and become a doctor in India? I am not sure about this scenario. You will have to confirm with MCI regarding this. Sir, I am from a private medical college in mp which was permitted and admitted it’s first batch on 2014 and since then they have not admitted a single batch as they didn’t get permission from mci.will my degree have any value when I pass my mbbs ? Could I still apply for pg entrance exam? your institute has to meet minimum standards to get MCI recognition. If it does that then it is possible. For appearing in PG medical entrance exams you need to have an MCI recognized seat. And for doing practice after MBBS you need MCI recognition. Which registration they are asking for? For practicing in any state you either need a MCI registration or state registration. Without which obviously you are not allowed to practice. Sir,Please give reference of your quote if aavailable or not -If a student has completed his/her UG/PG in a MCI permitted seat but not a MCI recognized seat can only practice in state in which the institute is located-this is a very vague statement posted by a few experts on websites.Nowhere else people get this type of information regarding the same. Source of this statement is my friend and seniors. Even I have tried very hard to find its reference on MCI website but was unable to find it anywhere. If you find any reference please let me know as well so that I could put it in this article. Can a pg student after finishing pg in permitted seat apply for DNB final exams? R does it need mci recognised seat? DNB information brochure mentions no such thing that seat to be recognized only. It says only the qualification should be recognized by Indian Medical Council Act 1956. So yes PG from a permitted seat should be allowed. Sure answers to these questions are not given anywhere on MCI website. But most of the permitted seats gets recognized by MCI. I don’t know what happens to other students, other than thing that they are allowed to practice in their own state. If I m a candidate of permitted seat while taking admission but if d same gets recognized in third year of my residentship …then is tht recognition applicable to me? Yes recognition will apply to you as well. sir , ihad completed dmrd in 2008. dmrd in my college recognised when diploma granted on or after 2015 whats that mean .my state council not registering it. u told it that retrospectively all will be recognised. if i did my mbbs from foreign university and then i join md (recognized by mci ) in a foreign university , i obtain my primary mci registration during final year of my md then will my md be valid in india? I don’t know answer to this question. I think it should not be necessary but you have to confirm this from MCI. if i do mbbs and md both from a foreign medical college then give mci screening exam the will my md degree be valid after passing the screening exam? It should be. Confirm this from FMGE information brochure,. Sir I’m from Kerala but I’m doing my MD in Tamil Nadu, which is Permitted but not Recognised seat. My doubt is whether I will be able to practise in Kerala with Permitted MD degree as it is my home state. (Kindly also note that my MBBS degree and state registration are from/in Kerala) My other doubt is whether it will be possible for me to apply for work outside India viz. Middle East countries with my Permitted MD degree? Kindly help. Ple provide ur contact nr on soni_balram2001@yahoo.com..
Dear Sir, I’m from Kerala state, but doing MCI PERMITTED MD degree from Tamil Nadu. My doubt is whether I will be allowed to practise in my home state of Kerala with my Permitted degree once I complete my course. (Please also note that my MBBS degree and state registration are from/in Kerala.) I would also like to know whether it will be possible for me to work outside India viz. Middle East countries with the Permitted MD degree. Kindly advise. Thank you. Yes will be able to practice in Kerala only with a permitted degree unless it gets recognized in future, which most of the seats do. And outside India it totally depends on the place you are applying for. You have to manually check eligibility criterias of various countries/ institute for this. But most countries have their own eligibility exams like USMLE and PLAB, so even doctors with permitted seat can apply for these countries. Again, check the eligibility criterias to confirm this. Dear sir,Is there any MCI recognised college outside India????? Following are the list of courses outside India which are recognized by MCI. sir is it possible to give secondary dnb after doing unrecognized diploma??? Yes. As you can see in DNB PDCET Jan 2015 information bulletin, there is only mention of Indian Universities which are duly recognized as per provisions of Indian Medical Council Act 1956 and no mention of recognized or permitted seat. No..I have appeared in dnb pdcet counselling and there during verification of documents they ask for recognition certificate of ur pg diploma course.. So better u check this again sir..
sir i ve finished diploma in a permitted seat ……..how can i knw whether my course got recognised or not is ther any link in mci website…..im planing to write pdcet 2015 july session …….nk …wat hapnd when u appeared for councelling did get seat.. Yes there is option on mci website to know the permitted/recognised status of any course in any college,, u can check it or if u provide ur course and college name I can check it for you. And be sure to get this certificate from ur college whether ur course was permitted /recognised. In my case during pdcet counselling I had my recognised course certificate wid me but I rejected the seat as I was not getting choice seat. No I don’t think that CPS people are allowed to appear for secondary DNB. As I have inquired from student section IPGME & R, SSKM hospital, Kolkata, student’s section and Dean’s office…. 2. Permitted seats even if not recognized, one can practice anywhere in India in private hospital or set ups. 3.If a permitted seat gets de-recognized due to some reason the students who are already admitted in the permitted seats get their recognized degree..and after hat the course is stopped. 5. seats which are writen as ”Permitted under condition” or ”permitted under section 10 (a) , this permission is conditional” in MCI website if doesn’t get recognised, the pas-out can only practice in is/her state…. I have asked only about MD/MS seats and they told me this. and even in best of the best institutes the newly added seats are always permitted until the 1st batch passes out, it hold’s true for even AIIMS, PGI or any institute. So, it is very clear that when any seat is increased say mci site shows ” recognised for 2 seats , seats permitted to be increased from 2 to 4 under section 10(a)” then in all india counseling the seats are added and one gives option for all the seats in online counseling nowadays, and he may get any 1 of the last 2 permitted seats, it is not possible fr him to know if he will get the first 2 recognised seat or the last 2 permitted seat…whereas if he had given the option of a less famous college above the better college which has, say 2 recognized seats and no seat increased , then he would have got the recognised seat easily…so it is clear that in this type of scenario one can not be sure if he will get the permitted or recognized seat…if he files a case against MCI , then he will surely win. Isn’t your statement 2 and 5 contradictory to each other? Can u explain it properly? since any permission whether new/increase in seat is always given under 10a? What happens if a previously recognised seat gets derecognised? Will the previously admiited student able to practice? Yes. Previously admitted students are not affected. how many bacthes can be addmitted on a permitted seat or till how many bacthes permission is there .. Permitted seat is recognized after 3 years. SO 3 batched permission is there. Sir besides I have came to know tht two seats wl get recognised this year.can u plz tell will the rank I got in NEET for ortho in this institute wl play role for my recognition. There are no such clear criteria. Sir Myself viral patel.from gujarat.got admission this yr in MD pediatrics pramukhswami medical college (private)karamsad..and this is 6 th yr of permitted seat..2 studenta are pass out..noww during my admission sir told me dere will be 1-2 % chances of cancell this seat…now plz help what can i do?? Also told dat this will be confirm after 2 3 month of admission..den wheather i leave seat or not?? I don’t think they could cancel a seat after admission of a student on it. But still as only round 1 has been done till now, you will should get upgradation in subsequent rounds. Please confirm about cancellation of seat from MCI and other respective authorities before taking final decision. Sir,i am a medical student studying mbbs in Russia.Sir i am confused.After Mbbs,a student get a degree or diploma,because some of my friends said that only after MD one can get a degree.After Mbbs;you will only get a diploma even thou you’re stidying anywhere…U will only receive a diploma. In India there is no MBBS diploma. MBBS is a proper degree. And I am sure in all other countries as well it is the same. I have never heard of a MBBS diploma. Sir, I and my batchmates did pg from a pvt med clge in kerala from 2011-14 in permitted seats in all specialities.After our final exams we got our degree from university but mci didnt recognize the seats.We have not been able to get our additional qualification registered with our state medical council as they say seats are only ‘permitted’.Is the state medical council right?Can we register our additiinal qualification with MCi directly?It is now going to be 1 year after we passed out.What can we do now? You should directly contact MCI officials and ask them about recognition of the seats and also the registration. May be your state has different rules regarding registration of only recognized seats. Also please let me know as well about the outcome. I will post it in this article, which will help other students. It is high time that a petition is moved in court against the betrayal of university,government ,college management and mCI making a mockery on innocent students and playing with their career in granting a degree and conducting course,later saying your degree is not recognisable..absolute injustice..especially new seats..why don’t the doctors organisation take this matter seriously and help us? MCI permitted seats are the way MCI wants to increase the medical seats which are a necessity of the country. By recognizing those seats MCI wants to make sure that the permitted seats are of good quality and not just medical seats for namesake. Still I think someone should take initiative to take this matter to courts and public so that students do not suffer for the same. sir,i am doing my mbbs from a private medical college.i was admitted in the first batch of the college,the college got permission for next year(i.e. my immediate junior batch) but not after that…as of now there are only two batches in my college.what will happen if college doesn’t get permission to admit students further?what about our future?will we be eligible to write pg entrance exams?and what about practice or any other government job? By the time you pass out your seats should be recognized. Your private practice or PG entrance exams eligibility will not be affected. Only distant possibility is that you will not be able to get govt. jobs with a permitted seat. Teaching experience from a permitted Medical college is counted for promotion or not Sir, Need reference. I don’t have any information on this. Can I join a permitted seat safely? For superspeciality? Is there a chance of derecognition of the permitted seat at any time?Thank you. There are always rare chances that a permitted seat might now get recognized. But as private practice is not affected by all these it is safe to take a permitted seat. Can I join a permitted superspeciality course safely? Is there a chance of derecognition? Sir, i got upgraded to M.S Orthopaedics in Govt.Medical college Thrissur,Kerala in 2nd Round AIPG (2015-2016)..Currently 3 seats are Recognized while Seats are increased from 3 to 9 Under 10(A) in 2012-2013..First batch with 9 Pg’s going to attend exams this year (2015)..My home state is Tamilnadu..I believe they will be recognized this year itself..Under a rare circumstance even at the time of my course completion i.e) 2018 if the seats are not recognized still will i be able to register in Tamilnadu Medical council and Practice in Tamilnadu? Or it is better to Allot to a recognized college elsewhere(even if facilities or not that much) in 3rd Counselling..Please help. Whether Tamilnadu Medical Council allows registration of doctors with permitted seat degree or not that you can confirm with them only. But you will be able to do private practice even with a permitted seat. Usually only Govt. jobs have this issue of only allowing recognized seat candidates in the jobs. I think if yours is a better institute you should stick to it rather than going to an inferior institute. Also a better institute with good facilities have comparatively high chances of conversion of permitted seat to recognized one when compared to ordinary institutes. Sorry, I don’t have details about this. i joined a recognised mdrd seat in vssmc, burla this year . but with recent mci visit pg students there are saying that they may stop taking students from next year onwards . i wanted to know if that will affect my degree? will i get recognised mdrd degree or a permitted one or none at all? it’s a bit urgent sir as we hv fresh choice filling from 12th may. as my previous cmnt ws nt posted so i m writing again. i hv taken a recognised mdrd seat in vssms,burla. but with recnt mci visit pg students in vssmc are saying that they may stop taking candidates from next year .. will thay affect my career? after 3 years will i be given a mci recognised degree or a permitted one or none at all? i am bit tensed as the nxt choice filling is from 12th may . should i change my subject of preference as i wud not get good clgs for mdrd? If your seat is recognised already you don’t have to worry. You will get recognised degree only. Diploma courses are 2 years courses only. No state can push it to 3 years. Sir what I meant to ask was that whether the doctors who have already completed their post graduate diploma should undergo 2 years course for MD or 3years,if the seat is permitted. How should I convince the institute that is adamant on its stand that one has to do 3 years course even after completion of diploma. Ok that way. For this you have to directly contact MCI and ask about it. If MCI is allowing it you should convey this to your institute. Btw I have searched a lot on MCI website regarding 2 years MD after diploma but did not find anything. Please let me know as well about any official reply you get from MCI. I will update this article with the information you provide. Got the mail. Thank you. It specifically mentioned “Provided that in the case of students having a recognised two year postgraduate diploma course in the same subject, the period of training, including the period of examination, shall be two year”. I think you should convey this to your institute. Yes sir,so it’s clear na.but these pvt college people will make brainless arguments. Actually problem is dat they will make some non medico as admission incharge and he has no knowledge about our field, when u go to their departments the faculty members are ready to accept that it should be two years course for a candidate already having diploma in same speciality. But management puts obstacles coz they have lack of concept regarding medical education. Are u convinced by the document that I have sent to you. Kindly do ur bit through this website to make the medicos aware. May be you should contact higher authorities to get the message conveyed. Yes, I will definitely spread the awareness. if say a college has 2 recognised and 1 permitted seat, then how will we know which seat goes to whom? As far as I know it is on 1st come 1st serve basis. You can confirm this with the admission dept of the institute. Yes. If the seat is recognized you can practice anywhere you want. …how to know wch one is recognised n wch one is permitted…..is it tht 1 from state n 1 from all India are recognised or both all India seats r recognised…?? ?…in case only 1 all India seat is recognized then out of those 2 candidates whose seat is considered recognised…the one who joins first i.e who allotted in first or second round or the one who allotted in third round…although d one allotted in third round has higher rank thn d one who alloyed in first or second round…??? There is no definite answer to this question. None of the authorities reveal which seat recognized or permitted has gone to ALl India Quota or state quota. Also seat about the seat allotment I think should be on 1st come 1st serve basis to get a recognized seat. But confirm answer can only be given by respective institute offices. Recognized and permitted seats are filled on 1st come 1st serve basis. So Those 2 who have been alotted and taken admission in those seats have the recognized seats and other 2 have permitted ones. Medical council can only deny registration to those with permitted seats and not the others. I have completed a MD from permitted seat in a Govt medical college. will there be a problem in getting me a permanent registration since it is only a permitted seat? I don’t think registration is any way related to whether you have done PG from a permitted or a recognized seat. You should not face any problems. If there is no problem in Permanent registration then why can’t one practice anywhere in the country from a permitted seat? As far as I know only Govt. jobs in other states are not allowed with a permitted seat. You can always do a private job. Also I was not able to find any reference regarding this on MCI website. If you do, please let me know. sir i am plannig for mbbs abroad,there are few colleges in foreign countries which r recognised by mci, so do i hve to clear mci test before strtng my practise in india? Yes. Foreign Medical Graduates Examination (FMGE) is compulsory for all foreign medical graduates. Sir i am confused whether to do mbbs from india in govnmnt clg or abroad in private colleges like in china… sir plz tell me which one is better..??? Answer is plain and simple. Nothing beats MBBS done from government medical college in India. If you want to practice in India only then it is the best option. sir my college is not yet recognised …it started in 2013 nd i am a student of d first batch…im very much interested in ryting d usmle exam…nd thot i wud complete my step 1 after second year….but d college is not listed in IMED(apparently only recognised colleges are listed in it)….is der ne hope for my college to be recognised before i finish my internship? ?…….if not will d college be recognised immediately after d first batch graduates ??…. Well exact when it will be recognized cannot be predicted by anyone. Usually when 1st batch passes out it gets recognition. But it could be earlier and later as well. can medical graduates or post graduates from andra pradesh, jammu and kashmir, or chattigarh practice in other states of india and can get them registered with state medical council other than above mentioned 3 states. because medical graduates from andra pradesh, jammu and kashmir, or chattigarh can not appear in NEET-PG. If you have registration from MCI you can practice anywhere in India. It is not dependent on whether that state has accepted NEET or not. do medical graduates or post graduates from andra pradesh, jammu and kashmir, or chattigarh faces any problem in getting mci registration as they are not allowed to appear in NEET-PG or NEET-UG by NBE? Im planning to do MBBS from phillipines (Southwestern university,Cebu). The college website and cpunsellors say its MCI recognized but the links of MCI website you have shown here dont mention phillipines at all. Can I email MCI to get a confirmation on this matter? If yes then can you please peovide the email ID/contact details. Are any colleges in dubai recognized by Mci? We have finished our MD psychiatry and DPM exams and all have passed. But now they say that only 3 out of 10 MD seats, and 6 out of 8 DPM seats are MCI recognized. How can we know which are the recognized seats, and which are not? Only your college office could answer this question. I have just finished DPM from Madras Medical College. In the MCI website, only 6 seats are shown for DPM in our college, and all 6 are recognized. But our college has been having an intake of 8 seats for DPM for many years now, and all have been getting the degree. But this year, since the entries have become computerized, they say they are able to enroll only those number of seats which are recognized. What could be the reason for this confusion? How were we able to admit and enroll 8 DPM seats until now ? Will this cause any problem regarding our registration and recognition this year ? Thank you for your reply in advance. No institute can take 2 extra candidates on their own. May be 2 extra seats were permitted and are now not included in the counseling. sir if i will take admission( mbbs) course out side india in a mci recognised college..after complete my corse can i practice in india without appear mci screening test?????? No. You have to appear for FMGE. I don’t about scenario in that case. You will have to ask NBE about it. Hello sir ,iI did my M.D obg in a private college . In which two seats are recognised & two seats are permitted . Initially they told it was my seat qhich is recognised but nw my other 2co pgs registered & I couldnt register . What can I do? You should contact your college office and ask for reason for the same. Sir can I hv your contact number so that I can explain my problem in detail. Contact me on Hangouts chat. Sir I pinged u in hangouts but I din get ur reply ! Kindly do d needful. I did not receive anything from you. Also kindly post your queries in the forum itself so that even other culd get some help from it. counsel from learned and experienced people like you,Sir. and our children who suffer, for no fault of them. Sir please inform your case nos and the name of advocates appearing for the case. sir i am intrested in taking up md in vinayak misssions college but the seat is permitted and the mci site shows the lop dated 2009 so this college has not been able to get any of its md radio seats recognised since the pat 6 years is it wise for me to persue admission in such a college ? If it has not got recognized in 6 years, future is doubtful. But if you want to do private practice I don’t think it should make any difference. Dear Sir, I have two queries… 1) I am willing to study MBBS -(MD) in Russia, After completing the 6 years degree there, whether I need to do internship in India after clearing the MCI-FMGE exam ?? 2) Secondly, whether I will get job in Government Hospitals in India based on my MBBS/MD from Russia after clearing MCI Exam ? 1) Yes you have to do internship in India after clearing FMGE. 2) That would depend on the criteria of the respective jobs but I think you should not face any issue getting a govt job. It is better to contact MCI regarding this issue. But just in case these seats do not get recognized students can practice in same state or do private practice. I’m a student of a government medical college started two years ago. This year MCI don’t give permission for fresh admission. If only these two batches are there in the college then will these two batches get registration for practice in future? Sir, I am persuing a MD degree in a Govt Medical college, the seat was PERMITTED at the time of my admission. Now I am a final year student and the MCI has derecognized the particular seat and stopped further addmission due to deficiency of faculty. Can I practice in my own state after passing MD or can I become a faculty in a medical college of my my own state. You can practice in same state as your institute is in. About faculty thing, It depends on the criterias but I think recgognized degree is required for those posts. Sir, I completed my M.D. in a govt college from Kerala n June 2014, now I m doing my one year bond n d same college, mine was a permitted seat when I took it, the college s refusing to give me mci course recognition certificate without which I cannot register my M.D. I m from Karnataka, I cannot practise there without registration, all my seniors and co-pgs got registration, even theirs were permitted seats, the Kerala state council gave them registration without asking for any recognition certificate, now they r refusing to give registration without mci recognition certificate. The college is not ready to give it. I don’t know what to do, if I can file a case, against whom should I file, plz help me. A recognized seat is required for getting registration certificate. This has been confirmed by MCi officials to me. I don’t think there is anything you can do about it. You can ask MCI about it, they might be able to help you. Thank u for ur response Sir, but what I am saying s my immediate seniors whose seats were also permitted got registration, infact the seats were increased from their batch onwards, now they r telling the mci has become strict now, previously the Kerala state council was giving registration for even permitted seats but now it’s not possible, why this bias, can’t we file a case against this? There should be uniformity, some times they give and some times they don’t. The 3 rd seat s not yet recognized, but all my seniors ( other specialities as well) got registration, on what basis they have qualified for registration and the current batch doesnt? Well filing a court case might hep you in this case. Also govt rules keep on changing, so you can give reason of you seniors given registration in the court for you to get the registrations as well. Give it a try. Sir i m a student of 1st batch of a gov med cllge m.p.my college started in 2009 nd we have completed our internship in march 2015 .but till last year mci goes on permitt our college.this year mci has not given any conclusion to our college regarding its permission or recognition so we do not get our permanent registration and our rural posting has not started till now.its allready 3 month passed out for the beginning of rural posting of other medical colleges mbbs passed out students in our state m.p.and we are not allowed for doing our rural bond also. Kindly help us sir pls. I think in this case filing a court case might help. As they are not giving you rural bond posting, the bond could be dissolved. Sir we have allready filed case in jabalpur high court but dates r getting postponed. Sir i came to know that if there is any rule in maharashtra that a mbbs passed student from permitted gov med cllg can do job in that state . If he/she can do job in there institute or only he can do private practice. Sorry, I don’t have details about this rule. Sorry, I do not have details of that. Sir, I want to do MBBS from Philippines. I want to know about those universities which are recognised by MCI? After completing the course can I practice in India? Sir, I want to do MBBS in Philippines. I want to know about the Universities who are recognized by MCI. Can I work in India after completing the course from Philippines? Not doing the rural service might ask for some action from the authority. If the authority is cool about this than you can go ahead with not doing the bond. Sir.i m mbbs passed student.i got my provisional registeration and i have completed my internship in march 2015 .but not get permanently registered as our medical college is only permitted bul not recognised .with provisional registration can i apply in army next year or i need permanent registration for that also. I am doubtful whether you could apply with only provisional registration. You should see the eligibility criterias for the same. Sir i am worried .we didnt get stay from court to fill prepg forms neither we are allowed to do job in our institution or rural posting.after 6 years of hardwork we get nothing.can we do job in private hospitals in our state. Yes you could practice in the same state as your PG insitute as per my knowledge. I have asked for a confirmation from MCI regarding this question and waiting for their reply. what are current mci reglation for graduate medical education?? is it 2012 or it is still 1997??? GRADUATE MEDICAL EDUCATION,. 2012. 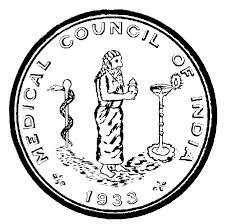 MEDICAL COUNCIL OF INDIA is the latest one. whats the last amendment ?? February 2012 is the latest ammendment in the GRADUATE MEDICAL EDUCATION, 2012, MEDICAL COUNCIL OF INDIA. last amendment of graduate medical education regulation 1997 was done in feb 2012 ..
i just wanted to ask that is there any further amendment occured after that or not..
is there sny change in that after the amendment ehat i have mentioned ??? No. MCI website mentiond February 2012 ammendment as the latest one. okay got it … principal regulation is graduate medical education, 1997. and that has amended upto feb 2012 and no new curriculum has launched yet. .. right? Yes. New curriculum is under works as far as I have heard of. Sir. Private hospital are not allowing me to do job without permanent registration. Please wait for few weeks till I get a reply from MCI regarding this matter. I will update as soon as I get any reply from them. Is there a fixed number of times MCI can do re inspection of PG courses or is it infinite number of times as along as the college can file appeal of inspection. Has there been any instance were a PG program or UG program been discontinued due to repeated failure of institution to upgrade the deficiency said by MCI? I don’t know about the number of times the inspection can be done by MCI. Derecgonition of the course means the course will be discountinued if MCI does not find the requirement fulfilled by the institute. Sir ,for secondary DNB they are not insisting that the primary diploma should have a recognition.But for the MD candidates from the same college to appear for final DNB they ask for course recognition by MCI.,which can’t be produced for a permitted only seat.My question is will the national board award DNB for successful candidates with their primary diploma in just a permitted seat by mCI?is it not an irony for the norms to be different for diploma and degree? These rules are decided by National Board of Examinations. I don’t think anyone could help it. my son has joined the ESIC medical college Gulbarga in 2013 (a central govt institute run college) and he is in his II year MBBS. Now it seems the MCI has not permitted the college to do admission this year( 2015) and last two years it has permitted admission. In this scenerio , let me know his future, what he can do and cannot do. whether his seat will be recognized after three years?.can he transfer his college. His seat may or may not get recognized in 3 years. As MCI has not permitted the college this year, chances of recognition are reduced. I am not saaying it will not get recognized at all, but it might be delayed. In such cases there is nothing much you could do. Regarding tranfer to other college, transfer is only of couple of seats usually and that too of class toppers. Im an NRI student studying at a college which has not been recognised for the past 2 years. The recognition in the future seems extremely unlikely, i realise now that this effects my ability to not only apply for work outside of my state but also outside the country, which is of primary concern to me as my whole intention of studying in india was that once completed i would return to family who live abroad. What are the options for such a situation, its seems so unclear and quite frankly quite daunting knowing that ill have to be studying for another few more years and have such limitation after so much effort. As mentioned in my email reply, 2nd tranfer of student to another institute seems like your only option. MCI recognition is not something which anyone could help with as it is beyond control of anyone. It should. I am waiting for a confirmation from MCI about few of these things. I will update in the article once I get the reply. SIR,IS THERE A TIME PERIOD FOR WHICH A PG SEAT IS RECOGNISED? I HAVE TAKEN MD PAEDIATRICS IN A PRIVATE COLLEGE..THERE ARE 2 SEATS,BOTH GOT RECOGNISED IN 2010.PEOPLE ARE SAYING THAT RECOGNITION IS ONLY FOR 5 YEARS AND FOR MY BATCH I.E. 2015 THE RECOGNITION MAY OR MAY NOT BE GIVEN OR SEATS MAY BE MADE PERMITTED OR DERECOGNISED. Just check MCI website about the status of the seats. If it says recognized then it is.Recognition is for period of 5 years after which the institute has to apply for renewal of the recognition. I wanted a someone to clear my doubt regrading the exemption criteria from MCI Screening test for FMG. A Person who is a citizen of India had done his Undergraduate medical degree in a MCI recognized medical college in Philippines, and now holds a postgraduate medical degree from USA and licensed practitioner in USA. NOW,will this person seeking temporary or permanent registration in MCI shall be exempted from MCI screening test as only his post-graduation degree is from USA, (in accordance with “Screening Test Regulations (Amendment), 2011”)???? NOTE: Previously, He has never acquired permanent or provisional registration from MCI nor has written MCI screening test. So looking at this statement, as person you mentioned has UG degree from Philippines, he has to appear for screening exam. If he is required to qualify MCI screening test, then should he undergo 1 year internship in any hospitals in India like any other foreign medical undergraduates after clearing MCI screening test to get permanent registration in MCI ?? and if so, even after doing residency in USA , getting license to practice in USA and getting board certification in the same country, such a senior person made to do one year internship like any other Foreign medical undergraduate in an Indian hospital. how is it acceptable????? wont he have better experience in his field if has undergone all these scrutinization in USA ,and what is the point in testing his knowledge through an screening test here again??? this means he cannot come back to India to practice here without these hurdles???? Situation is complicated. It is best to contact MCI in such kind of cases to confirm things up. Usually, they don’t reply to such kind of things. Filing an RTI will ensure a reply. I completed my MD degree in 2012 and the MCI recognized the course in 2013 with the statement in their website saying that the course is recognized when the degree is granted on or after 2013. What is this mean, Is my 2012 degree is also recognized. Yes. Recognition has retrospective effect as well. So even 2012 batch is MCI recognized. But why they need to mention that the “course is recognized when the degree is granted on or after 2013”. This Confuses me. I don’t know why woul they mention such kind of statement. But in a the RTI which I had files, they have specifically said that recognition has a retrospective effect and all previous batched also get recognition. Doesn’t look OK. It seems like this institute admitted more students than permitted by MCI. And future of those students is now doubtful. is there any perticular number of attemp to pass mbbs ?? or one can give as many attempt as he want to pass mbbs course?? is there any rule regarding passing first mbbs in 4 attempts?? according to current regulation one can complete mbbs course in how many years?? I have not heard about in number of attempts allowed to pass any MBBS exams. okay sir so there is no bar on chances to pass mbbs….no particular time limit .. one can pass mbbs in 10 yr or 15 yr or any number of years ..no bar .. right?? Yes, as far as my knowledge goes. Sir I got MD gynae seat from VMKV Salem. Now I m going for upgradation.But there are some colleges like Kalinga Bhubaneswar which has only Permitted seats of Gynae. Should I put that college also in my upgraded college list. I want to have the freedom of job anywhere in the country. If that is the case then do not put permitted seats in your preferences. Chances of permitted seats getting recognition is dependent on the quality of infrastructure and faculty in that institute. MCI has certain standards and requirements, and only when these are fullfilled, the institute gets recognition. So I cannot comment about the future but one thing I can say is that if the institute is involved too much in selling the seats, it’s primary aim is money and they are not interested in seats getting the recognition. But still it is very difficult to predict these kind of things. Can a candifate done his mbbs in a permitted seat can he write USMLE , the PGCET of the state he lives. Sorry, I could not find any information related to your question. I think yes. To determine eligibility for ECFMG® Certification, you must visit the World Directory of Medical Schools (World Directory). If your medical school appears in the World Directory, ECFMG must appear under the Sponsor Notes tab of the medical school information, and your degree year must also be compliant with the listed time frame. The required degree for Indian applicants is MBBS. I don’t think there is any limit to that. I have never come across any such thing mentioneed anywhere. Sir i joined mbbs course from a private medical college in up in 2011 on a permitted sear.Our was first batch.After this only next batch got permission in 2012.Since then there are no further permission on infrastructure ground.Will we get mci registration number? Will we be able to write entrance exam? If there are no more seats which are permitted then there are fewer chances that already permitted seats getting recognized. Because even for recognition, infrastructure is required. What happens in the case where students get shifted to the recognised colleges.For eg.the 2010-11 batch of Dd medical college.Are their degrees considered from a recognised college or their parent college’s recognition status is their degree’s fate? I don’t know exact answer to this but I think it should be considered as recognized seat only. What is general procedure to establish a new medical institution in foreign. Sorry, I do not have any knowledge about that. If you are doing your MD from a permitted seat you will not get registration of your MD as an additional quaification. You can only do it afte that seat gets recognized. Yes you have to appear for FMGE. Sir, wanted to confirm whether the recognition process for a permitted seat is only done when the next PG batch is appearing for final exams or it could be done anytime once the facilities have improved? I don’t know about the exact procedure, but usually it is done during routine MCI inspection. Sir what will be the usual cutoff for clinical seats at aiims… ??? Is there any hopes for rank above 150?? Sir the exit test of mbbs has also been cleared for all India registration.Does this mean that a permitted seat MBBS can register to MCI if he clears that test..Or MCI will add “MBBS from recognised college” in the eligibikity criteria to sit in that exam??? This thing has to be and I think will be cleared by MCI in the final details of the MCI exit test. I registered in tamil nadu medical council . My problem is that they did not receive any list from our university. So they made sign a letter stating that if I don’t give them list by December I should abide to the mci rules. Please suggest. My friends have registered without any problem from the same medical council. According to them whoever comes first is recognised. If you are already registered I don’t think you should face any problems. If council insists on the list in future I think you should contact higher concerned authority for the same. It is a distant possibility. Should I do something or just leave it like that. Sir I am MBBS student of Punjab on MCI permitted seat. If my college doesnot get recognised by MCI, then will I be able to do my internship and later on do job in my state only? Sir I am MBBS final year student of the college which is MCI permitted. I want to clear that If my college doesnot get recognition will I be able to do my internship and whether later on I can practice in my state only? I have this doubt because i have read the case of Chennai Medical College students who werenot allowed to do internship when their college failed to get recognised in 2014. You can do your internship with temporary registration but after that, you will not be able to practice as you need permanent registration certificate which is only given to recognized seats. I have attached the replied to the article. Kindly check now. sir,if one is registered for MBBS in Maharashtra medical council from a recognised seat for mbbs. if he does post graduation in maharashtra at a permitted seat (not recognised), Can he practice for his speciality on the basis of mbbs registration in maharashtra or anywhere in country with or without display on prescription pad? Why MCI does not give permission after fulfilling the criteria of recognition by an institute?can an mbbs do any treatment which he has learnt from PG course at unrecognised but permitted seat? Officially you need a permanent registration of additional qualification of the specialty to practice it that particular specialty. For getting the additional qualification, you should have degree from a recognised institute. I do not know the scenario of derecognition. You should file an RTI with MCI.Kindly let me know about the replies so that I could inform my reader about the same. With a permitted seat, you do not get a permanent registration. So by rules, you cannot practice anywhere with your speciality but in India rules are not that strict. The internship can be done on provisional registration as well which does not require a recognized seat. For permanent registration, you need a recognized degree. So unless your course is recognized by MCI, you cannot get permanent registration and thus you cannot officially practice. You will need to apply for a permanent registration only after the internship, so if your institute gets recognition during your internship, there should not be an issue. With an MCI permitted seat, you cannot get a permanent registration and thus you cannot officially practice. Sir, i have completed my DMRD from mgm medical college JHARKHAND, which is permitted seat under 10 a since1975, my home state is rajasthan, i m not getting registration in rajsthan state medical council,that why i m not getting registration in PNDT act, this registration is essential to practice e.g. sonography. pz what is rule to get register in home statefor permitted seat? With a permitted seat, you cannot get a registration certificate. Your only way is to ask for the seat recognized procedure to be done by your college. is there any way by court case? because we got that seat of permitted DMRD by neet exam n through the mci online counceling? if MCI stop course , in that case what about the passout students? ….you can go through.. Thank you.. Course in the link you mentioned is not DCH and is not recognized by MCI. So you cannot practice as a Pediatrician after doing it. Going to court might just help to force the institute to improve the infrastructure. You can give it a try. sir, what happens to pass out candidates when MCI stops course of permitted seats ? Nothing. They do not face any consequences. You will be eligible for sitting in PG exam for sure. If your course gets recognized then you will get registration if it does not then you will not and this you will not be able to practice the specialty. if MCI stop permitted seats course than passout candidates degree/diploma is recognised or not ?? Institute has to apply for the recognition. If MCI notices adequate infrastructure, faculty etc then it will give recognition. It means the seat is recommended by mci to govt for recognition, so how much is the chance that govt doesn’t approve it? If MCI has recommended the recognition then I doubt there is any reason why govt would reject it. And recognition is in hand of MCI only. May i inquire about seats that the Armed Forces Medical Services (for Ex-Servicemen) that they have listed as “Recommended by MCI for Recognition to Govt” as a separate section from “Permitted Seat”. What are the drawback of picking up these seats?? I think there should not be any issue in taking these kind of seats as MCI must have already cleared the recognition of the seat. The status of the seat in mci is permitted only,when will it get updated? I don’t know about the time it takes to do all the procedures but there are no shortcuts in these kind of things. Sir,i’m studying for MS in a private medical college .we got one MS seat recognised & one permitted.recently we got mci inspection in our dept & MCI decided not to recognise the permitted seat.we filed a compliance of which surprise inspection took place.i wanted to know wat wud be the fate of the already admitted candidates if we lost the compliance too.its clear that no further admission will occur in that additional seat if the compliance is also lost.if sumthg unfortunate lik dat happens,then wat shud be our further proceedings?plz help sir.thanku. Only thing which could happen is that permitted seat will remain permitted only and will not get recognized. You can ask your dept to do all the necessary things to clear the MCI inspection. Due to increase in PG seats, many of them will be permitted only. If it is a govt institute with good infrastructure they will get recognized in the the end. Such kind og issues usually arise in private institutes where they do not have faculty or infrastructure to go through MCI inspection and get recognition. Sir,i hav got a seat in radiology in Tata Memorial hospital,Mumbai….my seat is permitted as of now…MCI inspection most probably wil be held in june this year….considering facilities and infrastructure at tata,is there any chances of seat not getting recognised? ?also if seat remains permitted,will I b able to work in corporate set ups?? Tata is a big institute. I think it should get recognition. just in case it does not, officially you cannot practice anywhere. sir,i did my md emergency medicine in 2012 which is a permitted seat under scction 10a of imc act,we have one batch prior to us ,mci had come for inspection for our batch exam but they sited faculty defecits which was duly corrected by our college and compliance report sent to mci ,but no status of the report,the lop was given to the college in 2011,after ours there are 3 more batches.we have completed our degree,doing one year bond but not eligible to apply for further courses,its like career stuck at cross roads,without any proper registration.nd 3 years of hard work going waste .do you suggest us to wait or any means to proceed legally.kindly help me out sir.waiting for ur reply. If your college has submitted compliance report than it is better to wait. sir,not only our college ,mci had denied recognition to all the colleges which it had inspected ,sir one more query ,can we register our degree with the state medical council without recognition? ,how can mci mci deny recognition to all the colleges it inspected ,as per our college sources all the documents ,everything was perfect . No, for medical council registration you need a recognition. MCI can reject any number of college if they do not meet its standard of Medical education. When MCI does this, they usually give reasons for not recognition or de-recognition. Sir I took seat in MD Pharmacology(Private) which is permitted under sec 10(A) act….I am from second batch…now as a rule mci will come after 3 years when the first batch will appear for final year exam.But the main thing is after me college is not getting students in this course. So if college is unable to get students further whether my seat will be remain permitted?? If college can fullfil all the departmental requirements as per mci rules except no students admitted after 2 batches , whether mci can deny to upgrade to recognition from permitted seat? No, even if there are no batches in future your seat can get recognized as long as MCI criteria’s are met. Thanks you very much sir for your valuable reply. i m dr vaibhav jain , my father has done dmrd which was of 1 year duration from amritsar in 1982 which at that time was only allowed to practice in punjab only. You said in your blog that if permitted seat gets recognised in future , then retrospectively earlier seat also gets recognised and i think all the seats of radiology in amritsar is recognised. Now my father wants to practice in rajasthan but RMC refusing to register. I am not sure whether this rule is applicable for such old seats. Best way to test is to apply for a MCI registration number. If MCI gives it then he will face no issues in practicing anywhere in India. I have successfully completed my final year mbbs exam from a permitted seat of mci. Now up state medical council in month of April started my internship but after a period of one month they are declining me provisional registration number. Our college management says that we should continue with our internship and provisional registration numbers will be allotted in due course when our college gets recognised by mci. Should we continue our internship without provisional registration numbers. I don’t know if, even for provisional registration there is MCI recognition requirement. And without provisional registration legally you cannot do internship. But most of the students do their internship without provisional registration and apply for it in the end of their internship. Hello sir…I have a question to ask.. ARE ALL MCI GOVERNMENT MEDICAL COLLEGES OF INDIA IMED APPROVED ??? I am asking because I’ve cleared my NEET 2016 with good marls. However i want to get into only thay college which is imed approved. Are all government colleges imed approved ???? I searched for the colleges of Chhattisgarh on IMED directory. It only showed the old ones…not the new ones which started about 2 years ago. I’m kind of disappointed because if that college is not IMED approved /certified thenI’ll have to take a year drop and study to get into an Imed approved college as my only aim is to appear for USMLE. Sorry I don’t have any such list which gives details of the IMED approval. Wait for the recognition of the seat. i would like to the exact procedure of recognising a pg degree seat once inspection is completed. mci is not replying to my questions on call.they say seats are recognised but still awaiting reply from ministry of health n family welfare.how may days will it take to get a reply from ministry to add the recogised seats to website? There is no clear detail about these points mentioned anywhere. I am a 3rd yr student studying in a private medical college. My college had mci approval when I joint first yr.but we haven’t got MCI approval for the past 2yrs ..coming August makes it 3yrs.. suppose our college dosnt get MCI this yr what will be our fate??? If it does not get recognized you cannot practice. You can consider filing a court case if your college is not taking enough steps to get the recognition. I have completed my MD Pathology (2011-2014) on a MCI permitted seat from Sri Vasatrao Naik Govt Medical College, Yavatmal (Maharastra). The Seat is still permitted (as on June 2016) (students are being admitted) and not yet been recognized. I am told that i can’t practice my profession (in other states). Today, my application has been rejected (at the stage of certificate verification) at ESIC medical college and hospital for Assistant Professor position, citing my degree is not yet recognized. I have few questions. Kindly address them, i appreciate your patience and time. 1. The college Dean (when i contacted him) tells me that they are trying to improve the facilities and they will apply for the MCI inspection once they improve the infrastructure and so on. My question is: Will my seat get recognized retrospectively (as i completed the course in 2011- 2014 itself) as and when the MCI recognizes the seat for the college. If not, what should i be doing? 2. What will happen to my degree, if the MCI declines the recognition? Can i write to the MCI authorities? 3. Can i bring the pressure on the college, explaining about my lost opportunities and agony being cause thereby. 1. If your college does fulfil all the MCI requirements then your degree will get recognized as well, as recognition is from retrospective effect. 2. If MCI denies recognition there is nothing you can do other than filing a court case against the college and the authorities responsible to do the needful for meeting the MCI recognition. 3. Pressure can be brought about by court only. Or may be powerful politicians. This is vithin…. if v don’t get MCI this yr also is there any chance that v students will be shifted to govt.colleges or if I do my internship in an MCI approved clg can I practice. It does not matter where you do your internship. There are cases of shifting of students to other colleges but that is on orders from court. SIr, I am Debayan Dasgupta, A second year PGt of NRS medical College, Kolkata. Our seat was started on 2011 and yet to be recognized. This year, They did not allow to admit new PG seats, though our department did not receive any derecognition letter or any such update on MCI website, in the pg committee compliance report. They are yet to reply our latest compliance report. 1. Did they derecognize the seats.? 2.Is there any chance to restart the admission next year or we shall have to apply for fresh seats?? 3. is there any chance to get recognition status in future if we again send compliance?? Sir, I am a MD Radio-diagnosis PGT at NRS medical college, Kolkata. The seats were opened in 2011 and yet to be recognized by MCI. . In the last COMPLIANCE report sent on March, 2016 they wrote,”Compliance is not satisfactory.” due to shortage of one Assistant prof. ..We sent a reply but we are yet to get response for their behalf..but From this year the admission by MCI of PG students have been stopped. Does that mean the seats have been derecognized?? is there any chance of getting recognition of the 2 seats if we further send compliance?? Please reply. We are in immense stress. No, seats are not de-recognized. If the mentioned points in compliance report are fulfilled, seats will be recognized. Sir, I passed MD Microbiology in 2012 and joined the same college as assistant professor in May 2012. I have completed 4 yrs & 2 months as assistant professor and have adequate number of publications to satisfy MCI eligibility criteria for associate professor. My MD degree was permitted during these years and has recently been recognized by MCI in 2016. In 2014 MCI inspection: I submitted MCI declaration form as assistant professor and I was accepted as assistant professor. in 2015: I submitted MCI declaration form as assistant professor but I was accepted as tutor (designation changed by MCI assessor) as my MD degree was not recognized. However, my profile in MCI faculty database is categorized as assistant professor. In this scenario, I am confused regarding my teaching and work experience. 1. Is it possible that my work experience of last 4 yrs will be counted as assistant professor? 2. Am I eligible for the post of associate professor in any other state / medical college in India? 3. What can I do to confirm my eligibility? This is a complicated case but if the seat is now recognised, you should be eligible for AP post. But the work experience as Associate Professor is doubtful and I think you should file an RTI to MCI for clarification on this matter. Sir my son has completed BS in 2014 in Phillipines Cebu in South Western university which is now not recognised by MCI so he changed the college which is Cebu institute of medicine will he get eligibility by MCI or changing college will affect on eligibility??? If the changed institute is MCI recognized then yes. Sir,kindly suggest books to prepare for DNB FET,in ophtha.I am an ophthalmologist interested in doing fellowship in ophthalmology. 1.is my seat recognized? (As mci recognized in 2010 and 5years make it till 2015 and not 2016) or as mci came in 2011 for permitting a new seat so from 2011 till 2016)? 2.which seat is having chance for recognition..merit or management?? Recognition of the seats depends on the subsequent inspections done by MCI in your institute. MCI website should give you details of the present status. Even the status of the permitted seat. There is nothing like separate recognition for merit and management quota seats. If the seat is permitted then you cannot practice. It has to be recognised. If post of AP is the only thing remaining then it should not be difficult to get the seat recognized. Without Permanent registration you cannot practice as a gynaecologist but only as a GP. For practising in your specialty you need an additional qualification from medical council. That was wrong detail. I have confirmed this with RTI. Without registration you cannot practice anywhere. Seats are not permitted, so legally they cannot admit any student. 1)can i practice paediatrics in private hospitals without heditations…. No to all the questions. You cannot practice anywhere with your PG degree without an additional qualification. And also secondary DNB not allowed. sir singhania university jhunjhunu rajasthan is permitted under ugc 2 f sec. 1956 … the mbbs degree is valid or not ???? I don’t see any such recognized university on MCI website. sir singhania university jhunjhunu rajasthan is established under sec2f 1956 by ugc is mbbs degree is valid by them???????? Sir we are taking ad in mci permitted seet 3 .After one year mci visit only 2 seet are recognised. How can alloted the recognised seet . Their are 2 general candidate and 1 reserved category. There is an unclarity over this issue. In one of my RTI, I got a reply that it is on 1st come 1st serve basis and in another one I got the reply that is depends on DGHS. Sir, I intend to apply for MBBS in a private college affiliated to Dr. B.R.Ambedkar University, Agra. Does a university or medical college require approval from the World Health Organization for the purposes of going abroad after UG ? No, there is no such requirement. Hi sir this is Arafath doing internship in a pvt college in Chennai … I came to know regarding the post graduate courses in foreign countries and I want to know if I have to write MCI screening exam after I finish the pg degree there.?? No, FMGE is only for undergraduate courses. Sir my son studying MBBS in phillipines for practicing in India they had to give MCI exam now is it true foreign students have not to give this exam??? All have to give FMGE for practicing in India after foreign medical degree. In my RTI query, MCI had replied that recognition has retrospective effect, so you should be able to register. Kindly let me know about any issues if you face any. Thank you Sir.I am hearing the other way also.Will surely let u know about further progress. Yes, even for your batch it will be recognised. Even future batches are recognized as long as the MCI criterias are met in the future inspections. Sir my question is that I have completed my mbbs from mci recognized college n got registration…now I m planning to pursue pg. Hi, if the PG degree is not MCI recognized, you cannot practice as a specialist doctor. As your UG degree is MCI recognized, you can practice as MBBS doctor. You can ask your queries out here. It will be helpful for others as well. I have done my PG diploma in Pathology 7 yrs back from a govt. college seat which unfortunately is not recognized due to the lapse on the part of the college to ask for renewal. Now they are not able to go for MCI recognition for the said seat as no more students are joining the course. In this senario can I do something to get my seat recognized or have to give up on that front.? I don’t think there is much you can do about that. Will mci give additional qualification registration for DNB degree?? sir i have a doubt regarding who will get the recognised seat in a pg institute…for example if a institute has total of 12 seats of 7 are recognised and 5 are permitted..who will get the preference for recognised seats..a student from all india neet counselling or state counselling..
if a student gets a seat from state quota whose rank is better than one from all india neet counselling, will he get the recognised seat or the one who got poor rank and got the seat in same dept from all india counselling…as someone told me all the recognised seats goes to student from all india neet counselling irrespective of their rank followed by student from state counselling. There is no clear answer to this. I have got different answers at different times from MCI in RTI I filed. Without recognition, you cannot practice in your specialty. Your permitted seat has to get recognized for you to be eligible for DM. Yes. It will be recognized. Have they started allowing registration for permitted seats? How did you get registered? So do I have to worry ??? You should run behind your college administration to get recognition. That’s the only way. What about the renewal. You might face problems in that. May be you can talk to your medical counsel. Sir, any examples are there , where students done PG in permitted seat only, and finally MCI not recognize the college even after many year….. I can’t pinpoint but yes, I have heard of a few cases. Yes, it will be recognized. If a medical college admit 1 batch on permitted seat but permission for next batch is not given by MCI ,will the experience count in a empty batch though there is 1 batch studying there ? I have joined as an SR in a govt medical college yet to get LOP. When will my experience be counted from -Date of joining or date of getting LOP ?? You can get entire duration counted by talking to the senior officials. I’m student from MiMS indore. Our batch got the permission for mbbs admission for the academic year 2016-17,i’m now in 2nd year and currently our college is debarred for next two academic years.i.e. 17-18& 18-19, So i would like to know that , will my degree be recognised or not ? As we are the first batch of our institute. Will i be able to register at MCI for licence ? Is there any rules like this : that we will get the mbbs degree but not able to register ourselves at the mci for practitioner licence until our institute gets renewal for 5 batches for mbbs admission. I don’t think your batch would face any issues. At the end of your course your degree should ger recognition. If not then you can take the legal action. To register with MCI for permanent registration, your course has to be recognized. I have not heard of any such rule you mentioned. Get your college to meet the requirements and get recognition. What is an under complaince seat ? Sir , there are many permitted seats in dnb cousrs … If i opt for one permitted seat this year – where can I practice in govt , in corporate hospital , in Pvt hospitals , or private clinic practice ? I am not sure about these details of permitted courses. But are permitted courses allowed to practice in the same state where they got the degree from ? No. They are not allowed to practice anywhere. A permitted degree holder is he allowed to practice in his own state and do private corporate hospitals hire these degree holders for jobs ? What happens to the recognition status of a student admitted against a PG seat, who is admitted after the Institution applies for renewal of recognition, but the same was declined by the MCI twice, once before and once after the admission of the student? Is it possible to renew the MCI recognition after it is declined twice? will the MCI renew the recognition from a previous date retrospectively and recognise such admissions or the renewal of recognition will only be prospective from the next academic year ? Recognition can be applied again as well. There is no such limit on the number of times application can be made to the MCI. But sir, what about the students who are admitted to the course before renewal of recognition? Will they be allowed to practice? You have said failure to seek timely renewal from MCI will invariably results in stoppage of admission. And on MCI website the letter which declined renewal says any student admitted against the pg seat before renewal of recognition Will be considered illegal and irregular and will not be recognised. Will the MCI renew the recognition retrospectively in future and regularise such admissions? Please reply sir. Thank you. MCI regulations are not very clear on this but in one of the RTI I had filed, they replied that recognition is retrospective in effect. So even previous seats should be recognized. Sir I take admission in Dr BSA medical college rohini delhi in MBBS course on July 6 2018 which is affiliated by ggsipu , I check the status of college on mci site under topic list of college teaching mbbs . It is written over there that permitted for admission for 2018-19 what is the chances for the college to get recognition by MCI and what if the college get not recognised till the completion of my MBBS …. What after that? Plz plz reply must …………….. Chances depend on the quality of infrastructure by your institute. If the degree is not recognized you cannot register in the Medical Council and thus you cannot practica anywhere in the country. so will they allow me to do internship??? I don’t think so. The institutes have to be recognized by MCI to practice in India. Yes it will be recognized. “College transfer” 3rd year Mai hota hai Kya?? Sir If the candidate is admitted under pgseat which is only permitted but not recognised, is he eligible for neet superspecialty examination or he has to wait till the seat gets recognised? Student can write the exam but has to have recognition for the admission. Teaching experience from a permitted Medical college is counted for promotion or not ? If you are talking about promotion as a faculty in medical colleges then no. If that seat gets recognized in future then yes. For clinical practice in private hospital yes. 1.Whether my seat is recognised? 2.Can I take PG seat in different state, because my home state is different? 3.which 150 of our 250 will be recognised. There are no sure answers to your questions. Recognition is granted only after the MCI inspection, so inquire with your college if this is done or not. About which seats among 250 are recognized, some MCI RTI replies say that is it on 1st come 1st serve basis. Even this you can inquire with the college. Eligible to write NEET but not eligible to get PG seat. Rules are not very clean in this matter but MCI had replied to one of my RTI with a similar question that the recognized seat allotment is on 1st come 1st serve basis. In view of this if a PG aspirant takes admission this year (in 2019) in a permitted seat for PG Medical in an existing course of existing deemed university (seat permitted w.e.f. 2019-20 increasing annual intake for the PG course of such deemed university) , will he/she be getting recognized PG degree on completion of course assuming the worst case that for some reason the permitted seat did not get recognition because of any deficiency? As I understand the gazette mentions that first four batches of Postgraduate Degree Courses (in permitted seats) will get recognition. I shall appreciate your views on the same. Yes, it means that permitted seats will eventually get recognition at least for the batches which are admitted.